You Say toe-MAY-toe, I say YES! | Food It Yourself! You Say toe-MAY-toe, I say YES! Growing your own edibles is a big part of a healthy DIYet. 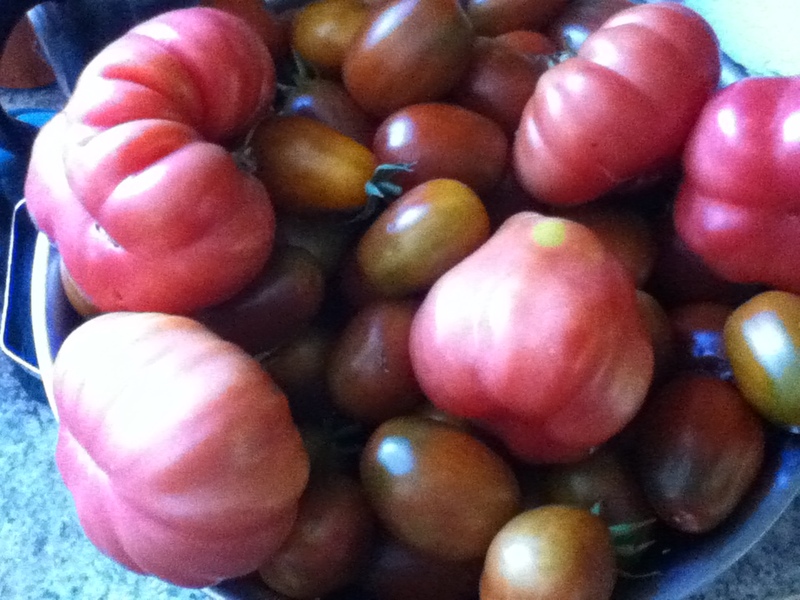 If you have never grown an edible thing, even if you have never grown anything, you should start with tomatoes. Why? A tomato that was harvested just minutes ago is the best tasting thing ever. I can’t even describe it, but you can taste the sunshine. Don’t believe me? Buy a tomato at a farm stand or farmer’s market (here’s a list to help you find one). Taste that little red gem! Now, imagine a tomato that is even better. That is what a home grown tomato tastes like. Tomatoes are patriotic. Well, they are native to America…to the Americas, actually. Tomatoes originated in the Andes Mountains. The Aztecs ate them and their empire was huge. Here are just a few of the tomatoes I grew last year. Tomatoes carry the element of danger! Okay, so tomatoes aren’t actually dangerous. 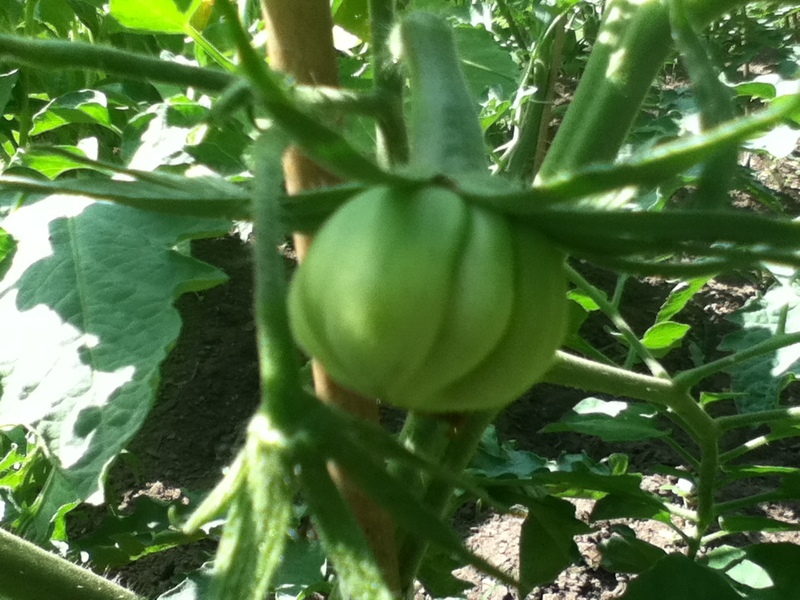 However Solanum lycopersicum, as the tomato is known to botanists, is a member of the nightshade family. They were originally thought by Europeans to be poisonous. Here’s some more tomato lore. Are these fruits fascinating or what? You’re probably eating them already, why not grow your own? What We Eat in America, a report of the National Health and Nutrition Examination Survey (NHANES) from 2009-2010 noted that the average American over the age of 2 eats the equivalent of 0.36 cups (about ⅓ of a cup) of tomatoes per day. This may not look so impressive, but for a mere 15 calories for ½ a cup it’s a nutritional bargain. Then, there are the nutrients not found on the label. Lycopene is the stuff in tomatoes that make them red. It is also a super antioxidant. Check out what some Harvard researchers published in 2012. Tomatoes might help prevent strokes, who knew? Are you convinced yet? It is too late to start tomatoes in most of the USA right now, but it’s never too early to start planning for next year. If you are short on space, many varieties of tomato grow well in pots. Check out these easy guidelines from The National Gardening Association.If you have a little sunny place-the front steps, the back porch, next to the mail box- you have room for tomatoes. So give them a try. They will be a tasty addition to your DIYet. This year, some tomatoes grew themselves. I’ll explain later.